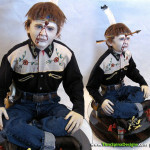 A very special display for a screen used costume from one of our favorite actors. 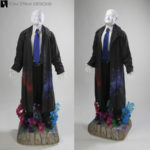 With this custom mannequin, we tried to capture the ethereal feeling of the film, and in particular the “painting scene” where Robin’s character meets his dalmatian in a field of flowers made entirely of paint! Here, he stands on a cliff, soaking up the wonder of the place where he finds himself. 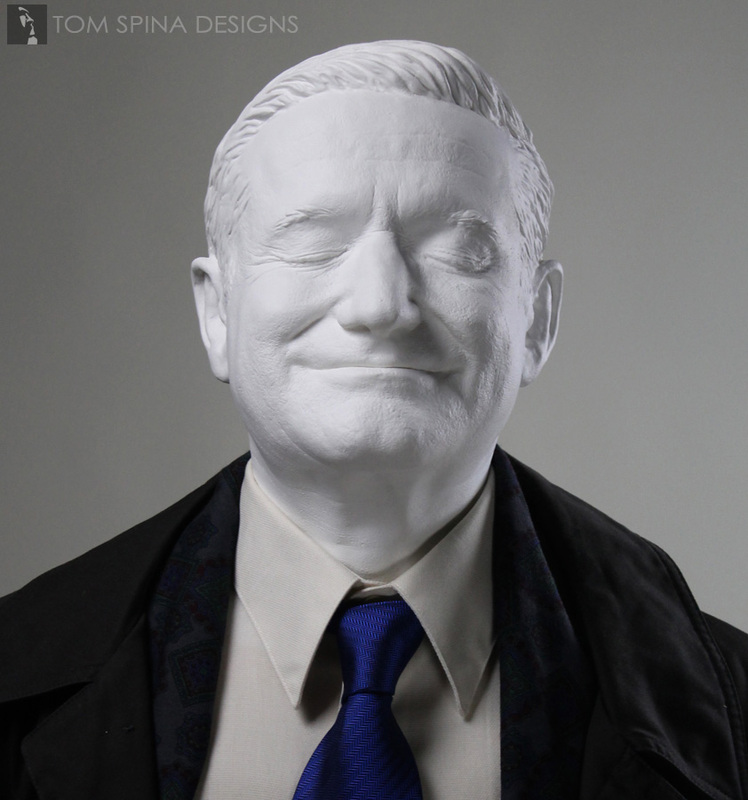 This custom Robin Williams mannequin was created for The HSPPA/Horror & SciFi Prop Preservation Association, a nonprofit traveling museum of movie history. 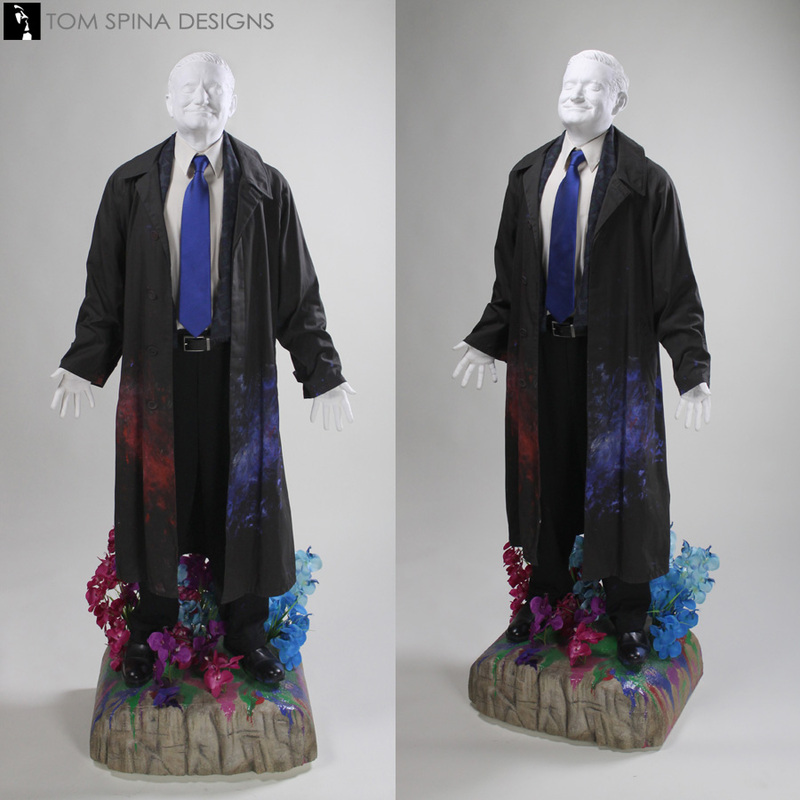 The costume was nearly complete, and we sourced accurate shoes, belt and tie to match and complete the film costume for our client. 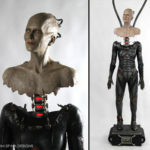 To create the display, we modified a fiberglass mannequin to match Williams’ height and overall body proportions. 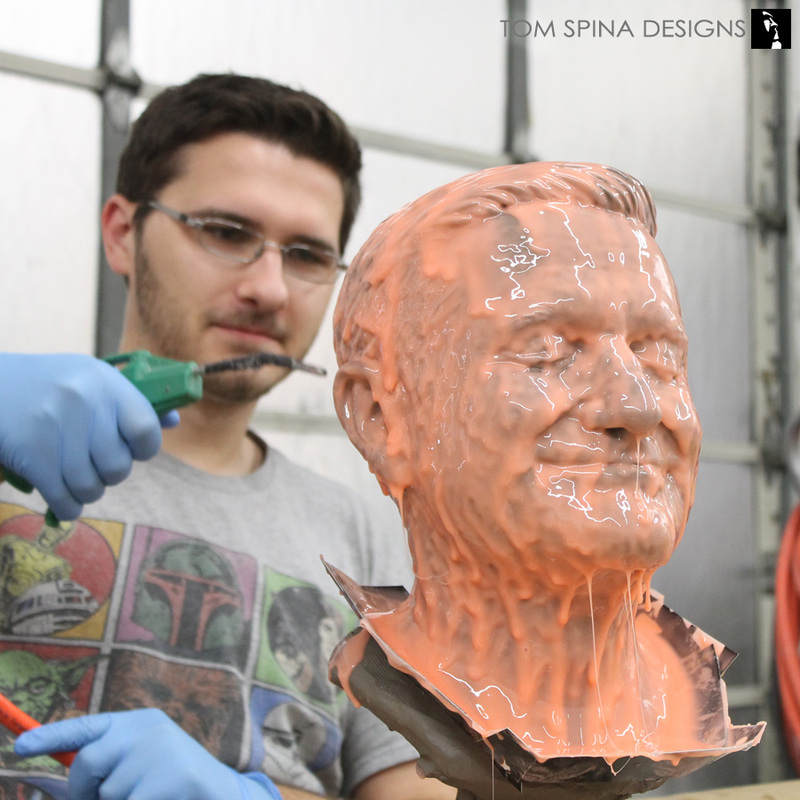 Resin lfecasts molded off one of our artist’s hands would stand in for the famous actor’s. To capture Robin Williams’ face (and hopefully, a bit of his warmth and spirit! 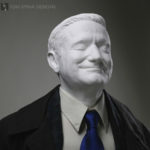 ), we began with a lifecast sourced from FX artist, William Forsche. 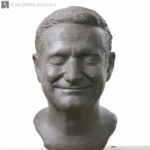 Will gave us the OK to remold and modify the lifecast, and Steve Richter at our studio made a clay press so that we could complete the head. We added ears, hair and eyebrows, created an angled neck, added the back of the head and touched up the textures. 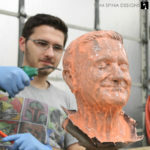 Once that clay work was complete, it was molded to create the mannequin head in resin. 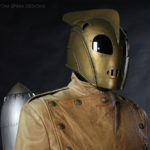 The head and hands are painted a pure satin white, so that the costume used in the film stands out, rather than the head or mannequin. 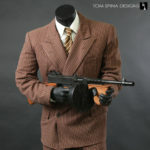 This had to be more than a wax museum figure, it needed to showcase a very special costume and a tribute to one of the screen’s greatest legends. That costume was covered by the movie’s costumers with paint splotches that can all be directly matched to the painting scene we used for inspiration. 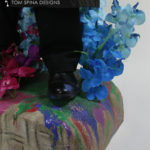 We echoed those with the dripping paint on the base, and the deeply saturated prop flowers. 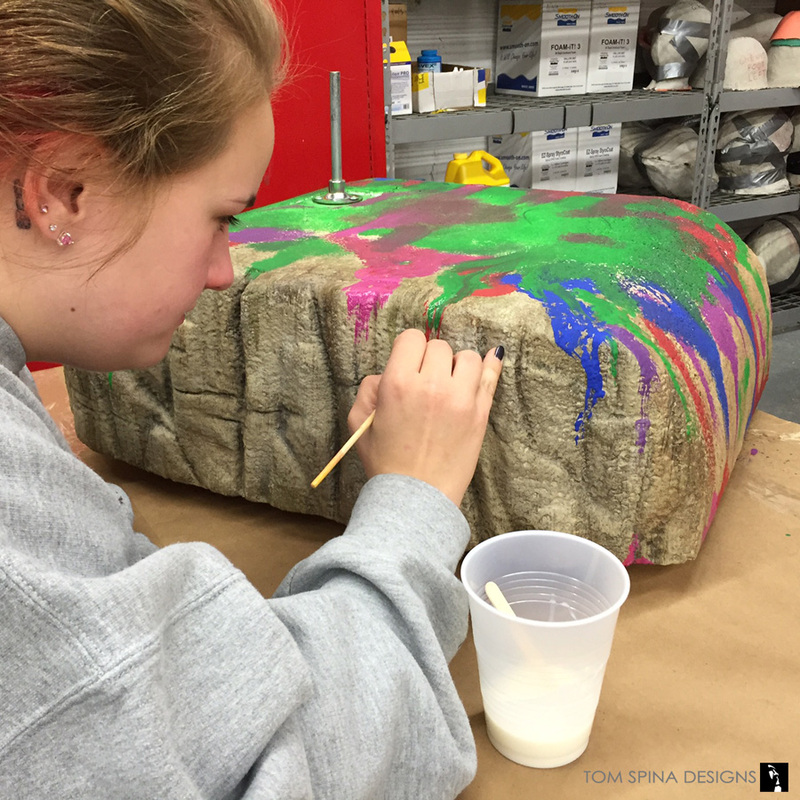 The base was created from carved EPS foam, hand shaped by our artists much the way we create trade show and event props. 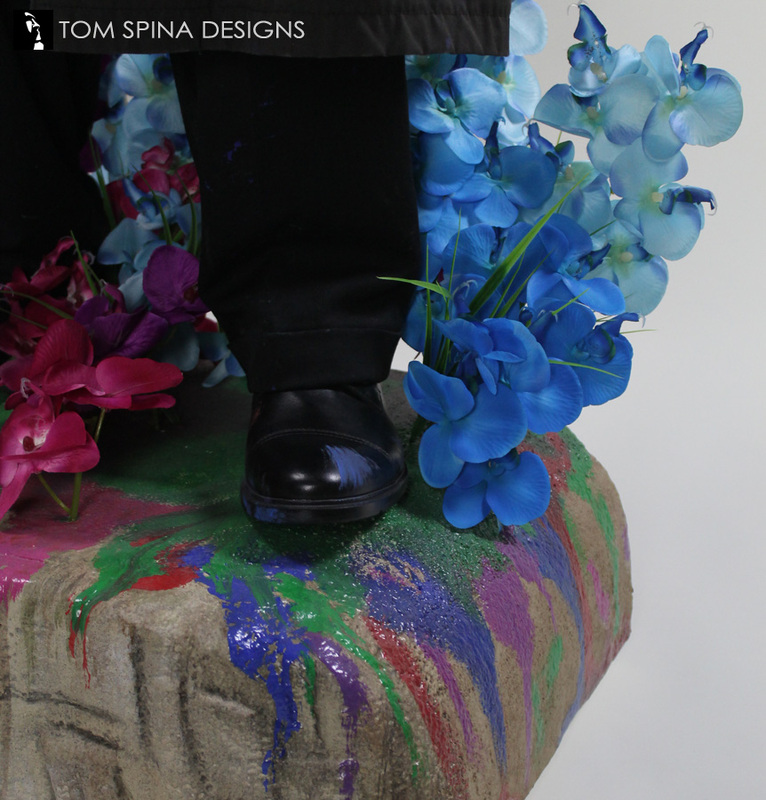 It’s hardcoated and painted like rock, with glossy flows of “melting flower paint” to grab a moment from the movie and complete our display! 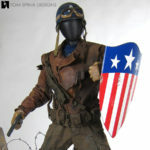 Have an original movie or television costume in need of a unique or themed display? Email or call today and let’s discuss your project! Have you seen Robin's amazing performance in this imaginative film? Watch or buy it today! 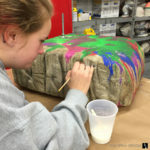 Want to see how we create this unique display? 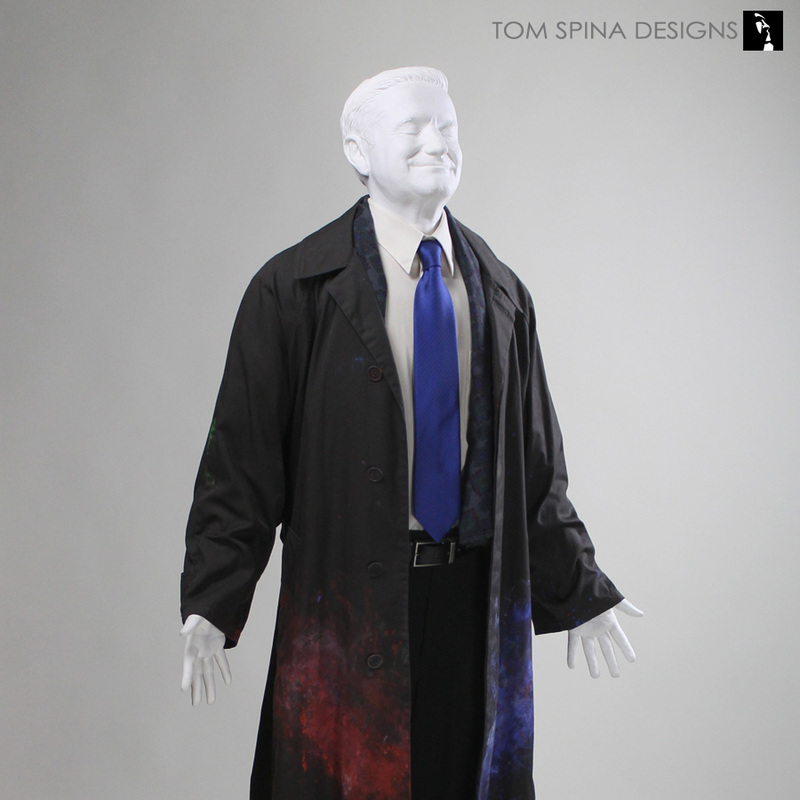 I don’t think I had this wardrobe in my possession a full 24hrs before I was sending Tom a message to discuss this display idea. 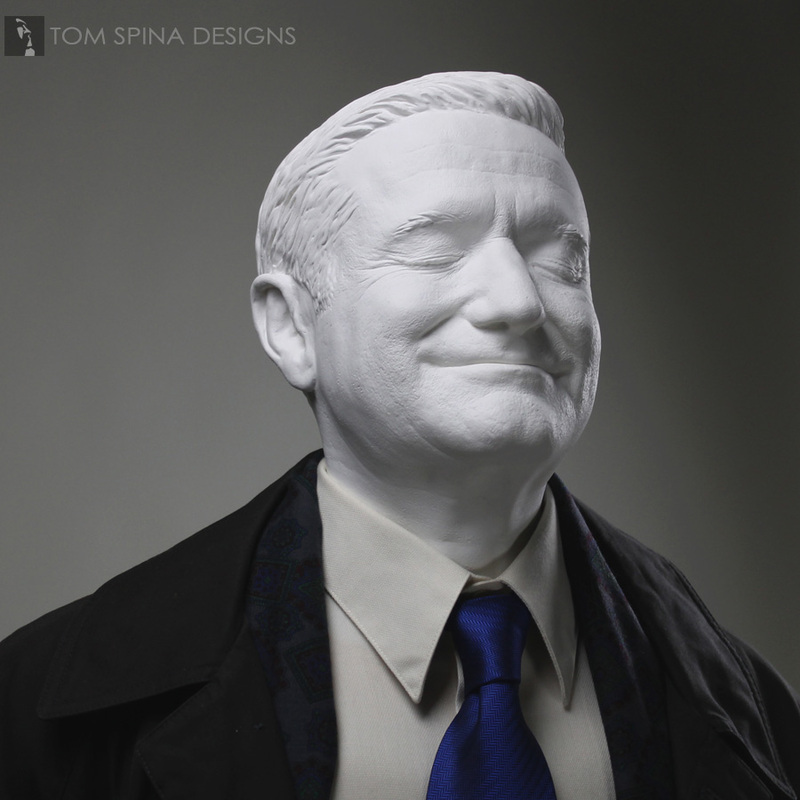 I knew it had to be created and I couldn’t see anyone but Tom Spina Designs at the reins of such an important piece, not only to me, but to all fans of and to the legacy of Robin Williams. When it comes down to it, I came to Tom because you get more than skill (which everyone at TSD has a ton of!! ), you get a caring professionalism, and a passion for your project that is unparalleled. I’ve worked with TSD before this and I look forward to the next project I get the honor to bring their way. Thank you guys!!! !